Alep, vieille ville. Destructions. Aleppo, ancient city. Destructions. The event will take place at the Claudia Caviezel–Birene Hall (101), Tel Aviv University, 26 November 2018, between18.00-19.30. In today’s armed conflicts, fighting increasingly takes place in populated areas where incidental harm is likely to occur due to the co-location and intermingling of lawful targets and protected persons and objects. In these situations, the principle of proportionality is becoming ever more crucial. It prohibits attacks which may be expected to cause incidental loss of civilian life, injury to civilians, damage to civilian objects, or a combination thereof, which would be excessive in relation to the concrete and direct military advantage anticipated. The existence of the principle of proportionality is undisputed and applied daily by military commanders. Yet, its key concepts have been subject to intense debate: What constitutes the ‘concrete and direct military advantage’ of an attack? Which types of incidental harm have to be considered? And when is the expected incidental harm excessive in relation to the anticipated military advantage? 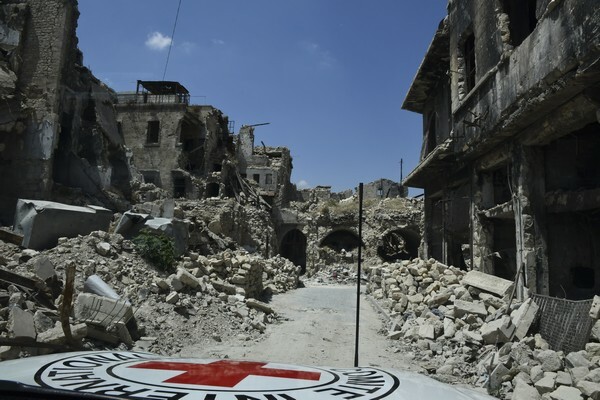 Bringing together law experts, the panel discussion – moderated by the Head of ICRC’s legal department in Israel and the Occupied Territories, Bruno Demeyere – will present their views on how this principle of IHL is understood and applied in practice.